The effects of climate change are now being seen across the planet and the Mount Alexander region is no exception. 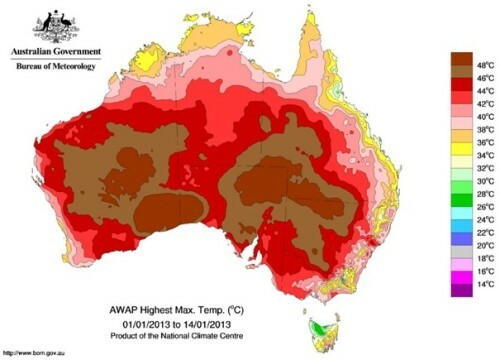 According to the Bureau of Meteorology (BoM), 2015 was Australia’s fifth-warmest year on record, with a number of notable heat waves, and record-breaking temperatures from October to December. Using information from the CSIRO and BoM, the North Central Catchment Management Authority recently published climate projections for our region (see table below). The overall picture for the Mount Alexander region is of a hotter and mostly drier landscape. Click here to see what impact this may have on biodiversity in the region.